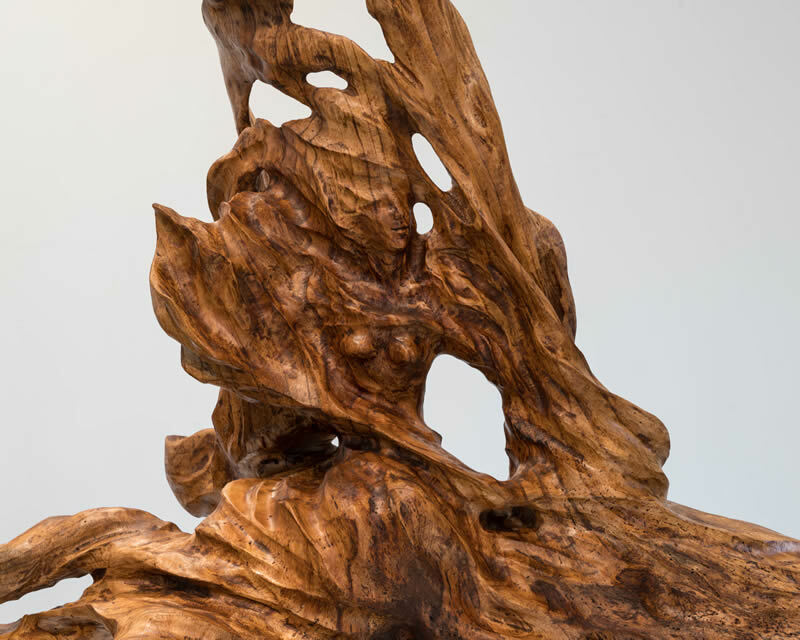 My interpretation of the Vedic Goddess Durga, riding on the back of a panther, and emerging from abstract and flowing forms. 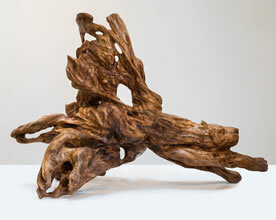 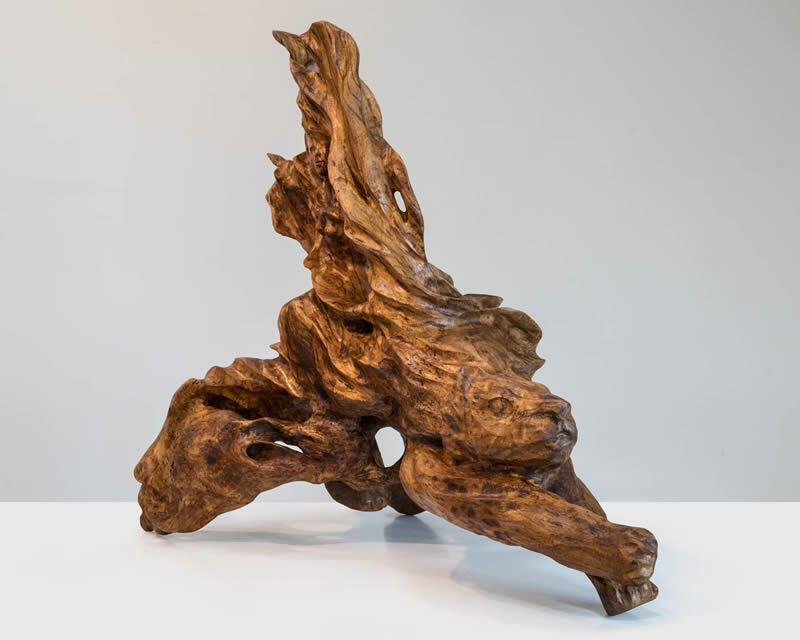 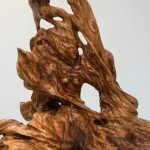 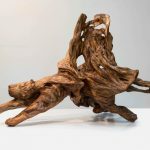 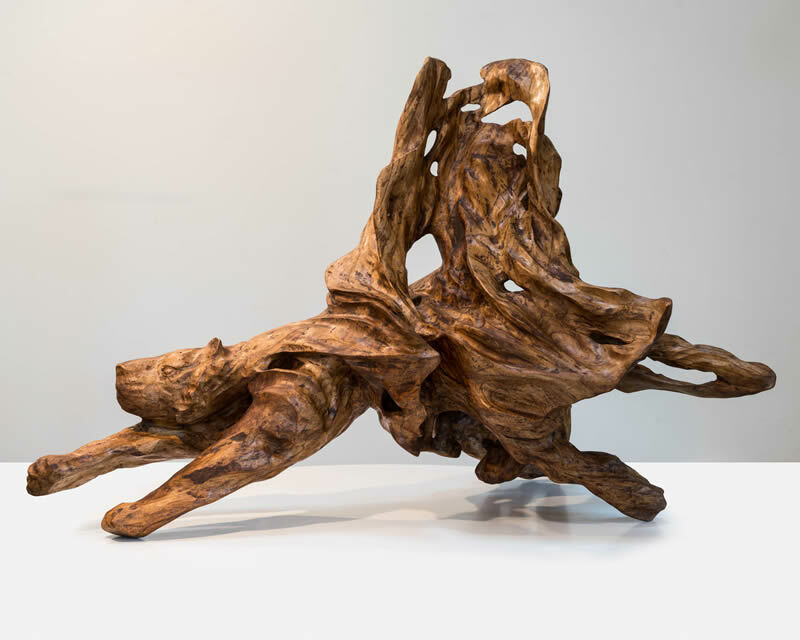 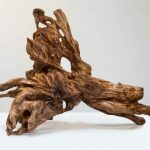 This sculpture has been carved from a spalted Maple tree log and roots and then stained. 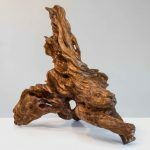 It is 34″ in height, 30″ in depth, and 54″ in width.